There's a box set commemorating Tomonori Maeda's career coming out in early December. The set contains just 19 cards - 18 cards for Maeda's career and a "special" card that could be some sort of memorabilia card. The latest in the "Greatest Games" boxed sets is also coming out in early December. 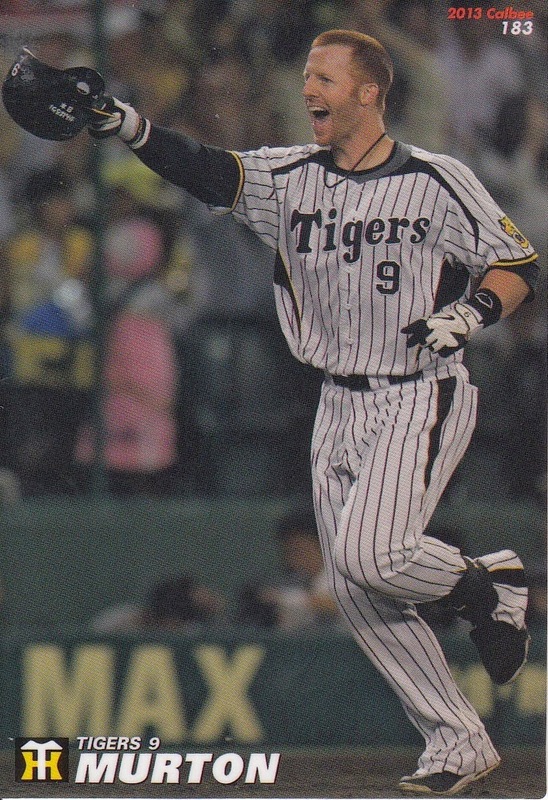 This one is for the Tigers' victory over the Swallows on October 16, 1985 that clinched the Central League for Hanshin for the first time in 21 years. 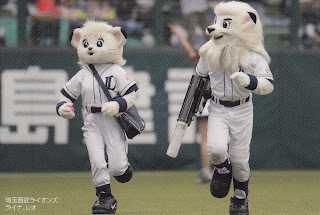 They went on to win their lone Nippon Series championship that year. The set will contain 37 cards - 36 base set cards plus one "special" card - I think there are only some form of autograph cards available but I'm not positive. Just before the end of the year BBM will be releasing a "Dragons Legend" set. 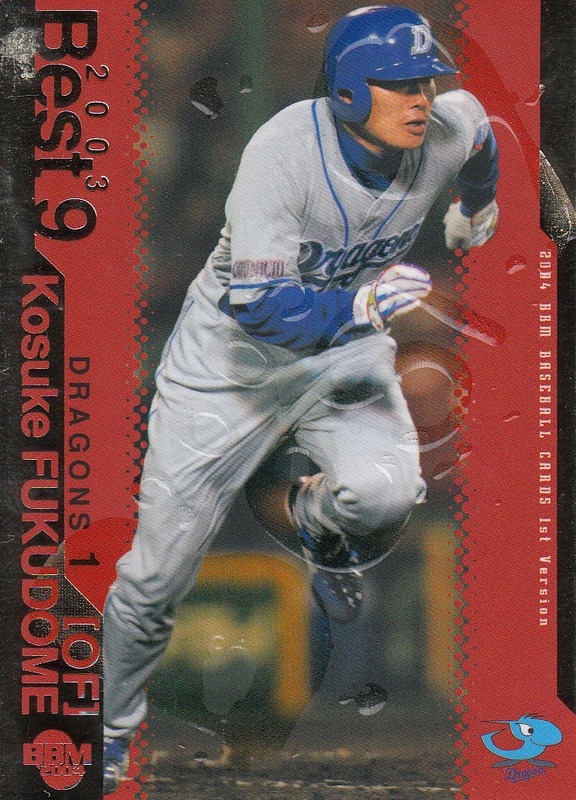 This pack based set will feature only 72 cards - 14 cards for the "2014 Dragons Leaders" during their playing days and 58 cards for players from 1987-2001 (starting from the first year of Senichi Hoshino's first stint managing the team to the last year of his second stint). 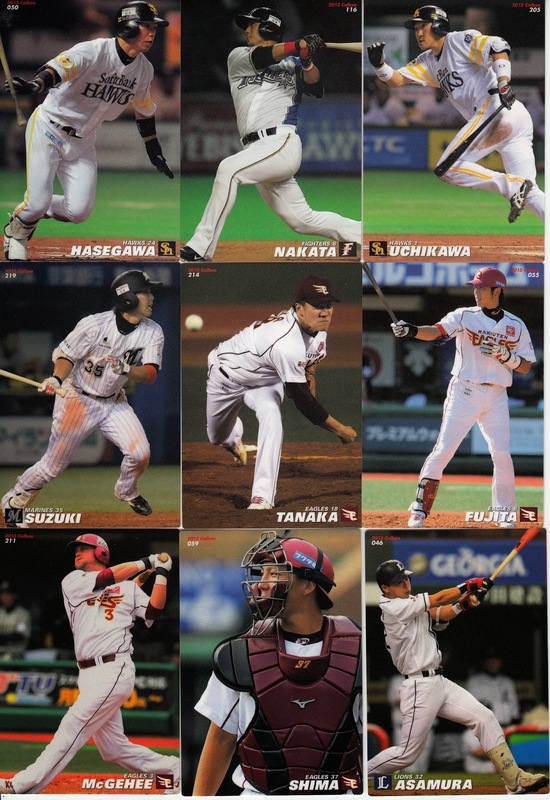 I think was is meant by "2014 Dragons Leaders" is the manager and coaching staff but I don't know for sure. 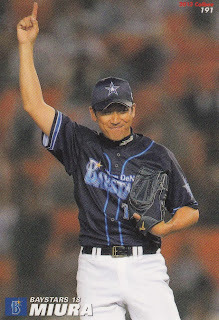 Whether this would include Hiromitsu Ochiai, the new GM of the team as well remains to be seen as well. 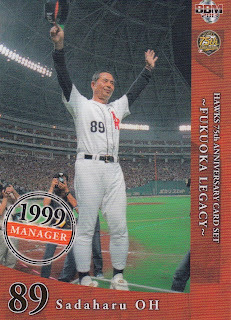 The cards use a similar design to last year's Giants and Tigers Legend sets. - I noticed a couple cards for sale on Ebay that are autograph cards for players from the Japanese Collegiate National Team. It looks like they are some sort of insert in the new Panini Team USA box set. I haven't been able to find out much about the set on-line so I don't know a lot about them. I don't know if there are only autograph cards available or if there are other forms of memorabilia cards also. 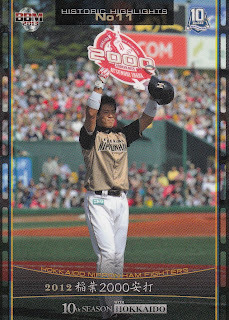 The whole concept seems similar to Upper Deck putting memorabilia cards for the 2007 Japanese Collegiate National Team in the 2008 Team USA box sets. - The new Shinya Miyamoto box set from BBM got released this past week and Jambalaya has all the cards on line. I did a double take this morning when I was looking through them - the set contains 15 cards for Miyamoto's team mates on the 2013 Swallows team. Now, if you were putting together a list of 15 players to represent the 2013 Tokyo Yakult Swallows, there's a number of difficult decisions that you would have to make. I mean, after all, the team wasn't very good. But I would think that one choice would be a no-brainer, you know, the guy who broke the 49 year old single season home run record. But apparently BBM felt differently and Wladimir Balentien does not appear in the set. 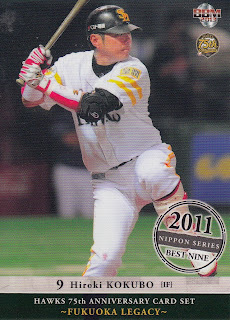 - It's almost December and I've seen no indication that there will be a Nippon Series set out this year. BBM has failed to mention them in the past so it's not entirely out of the question that the set might still be forthcoming but I get more and more pessimistic about the chances every day. 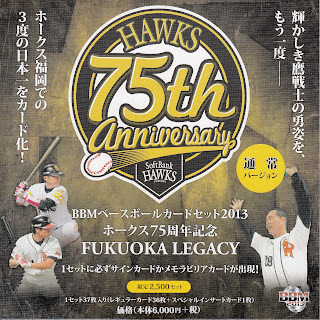 The Hawks celebrated their 75th Anniversary this past season. BBM put out a set in commemoration last summer. 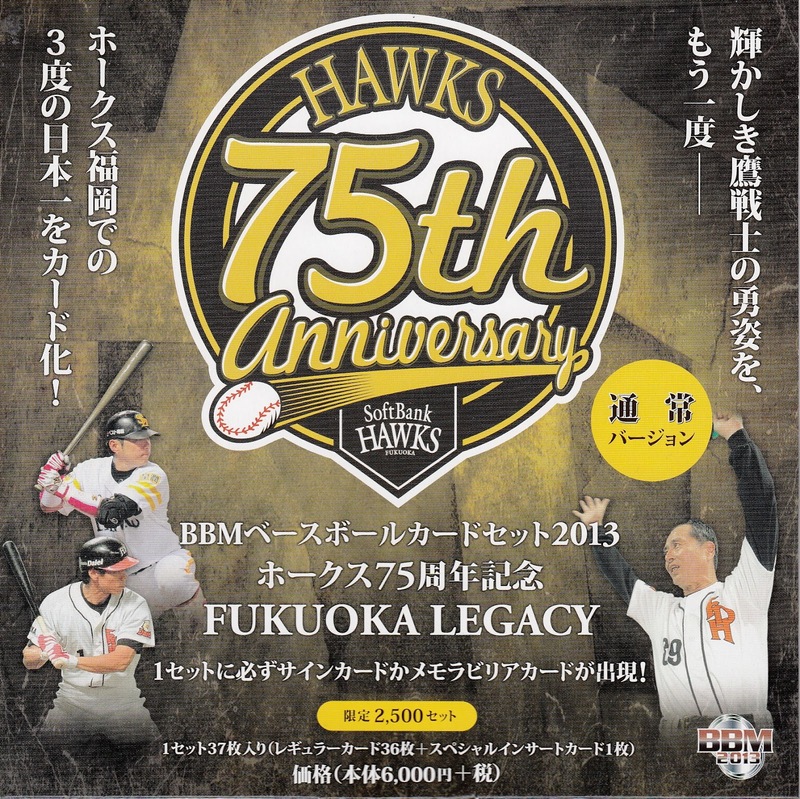 The 2013 season was also the 25th season that the Hawks played in Fukuoka, having moved there from Osaka following the 1988 season. 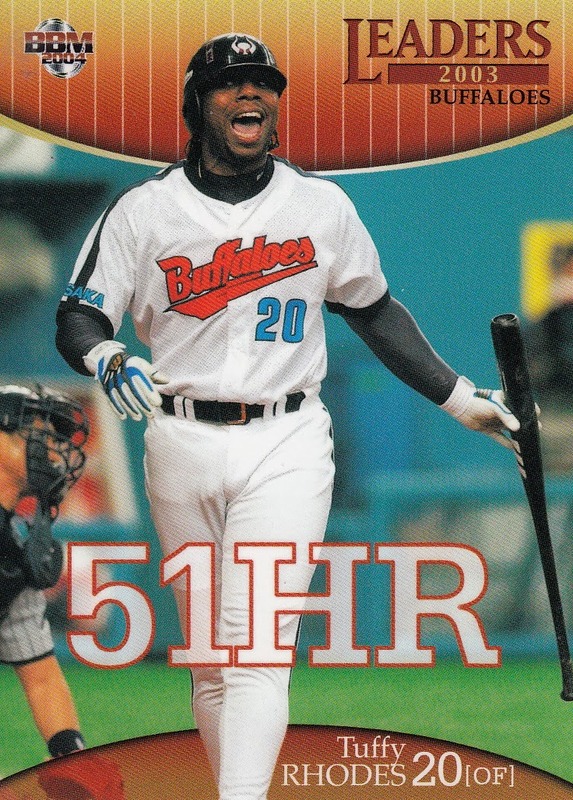 BBM put out a box set in September to highlight the Fukuoka years. 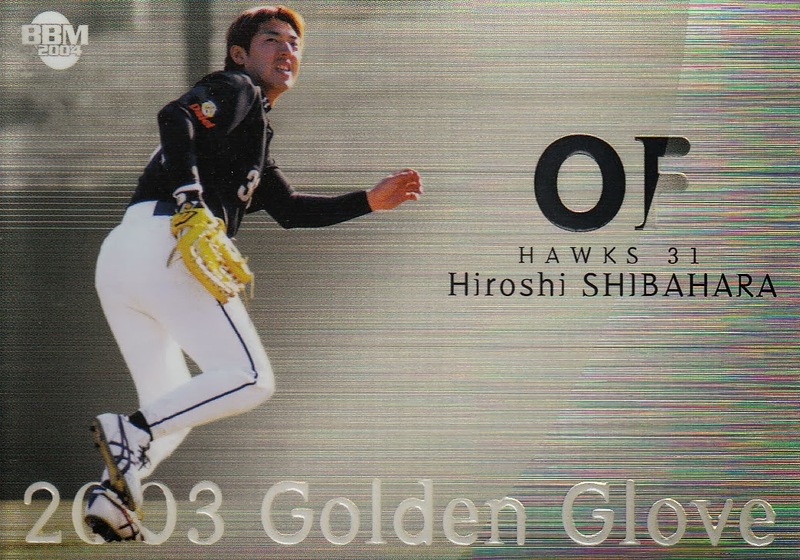 Actually what is specifically being highlighted here are the Hawks three Nippon Series championships in Kyushu - 1999, 2003 and 2011. The set contains 37 cards - 36 "regular" cards and a "special" card. As usual, I got an opened box so I don't have a "special" card. The regular cards are split evenly between the three Series champions, so there are 12 cards for each team. 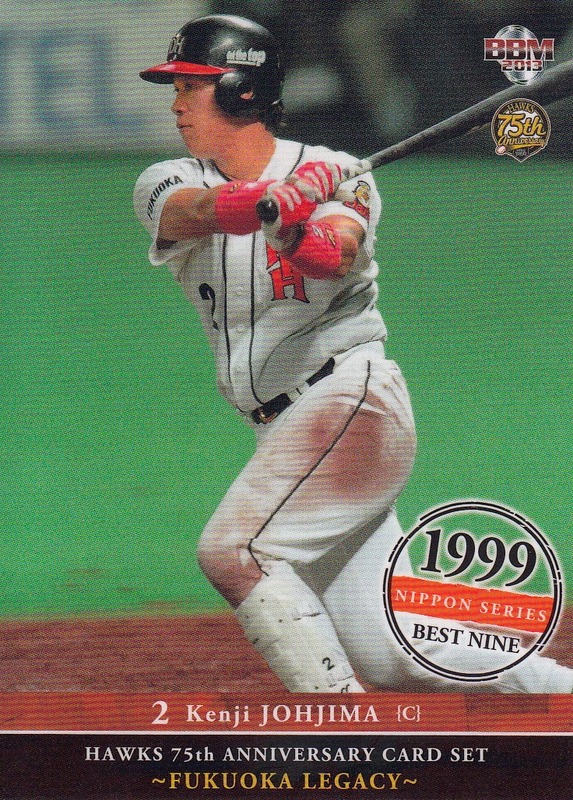 The 12 cards break down to the Best 9 plus DH for each team, an award winner for each team (Series MVP Koji Akiyama for the 1999 team, Sawamura Award winner Kazumi Saitoh for the 2003 team and Pacific League MVP Seiichi Uchikawa for the the 2011 team) and each team's manager. 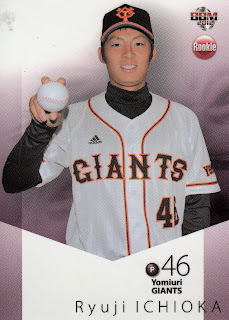 As you might expect, there's multiple cards of several players - Koji Akiyama and Nobuhiko Matsunaka have three cards each and Sadaharu Oh, Hiroki Kokubo, Kenji Johjima and Tadahito Iguchi (among others) have two. 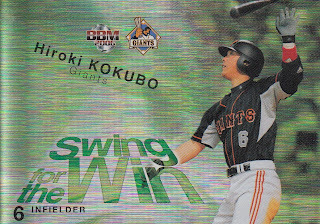 I was surprised that neither card of Kokubo had the usual shot of him throwing his bat on his follow through. It's not a bad little set although it's probably not of much interest to anyone outside of Hawks fans. UPDATE: I neglected to mention that all the cards can be seen at Jambalaya. The last of the major NPB awards was announced this week and not surprisingly, Masahiro Tanaka was unanimously elected MVP of the Pacific League and somewhat surprisingly, Wladimir Balentien was elected MVP of the Central League. 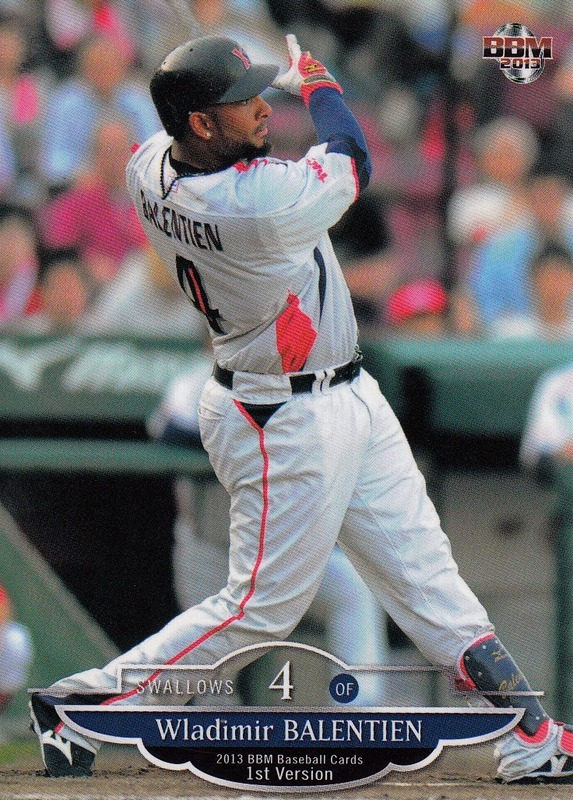 I say "somewhat surprisingly" as while Balentien's season was historic, he played for a last place team. No player for a last place team had ever won the MVP before. Speaking of Rookie Of The Year, the winners this year came from the same two teams that the MVP winners came from. 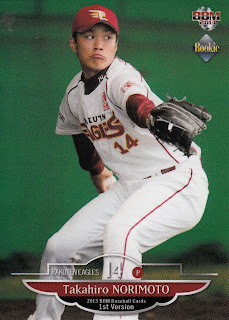 It was Takahiro Norimoto of the Nippon Series Champion Eagles and Yasuhiro "Ryan" Ogawa from the last place Swallows. 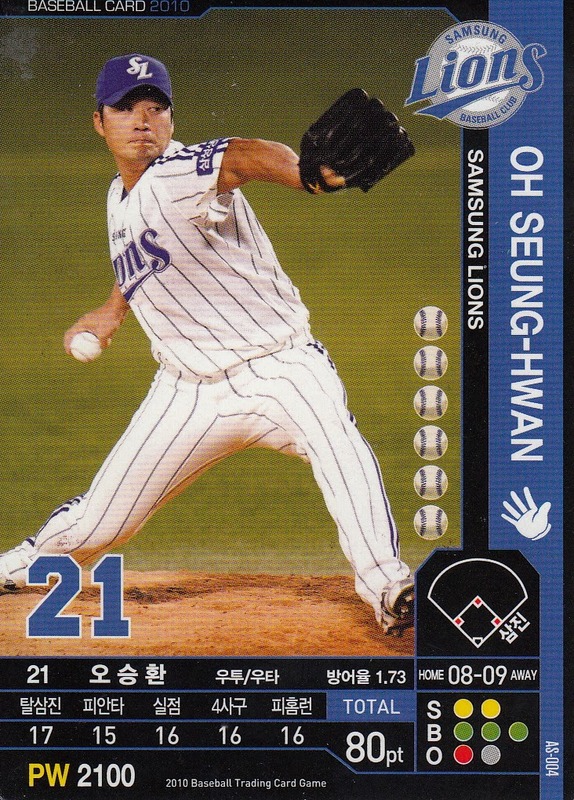 The Hanshin Tigers signed former Samsung Lions pitcher Seung Hwan Oh this past week. 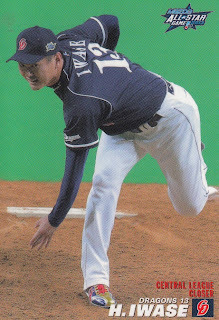 Oh is expected to step into the closer role vacated by Kyuji Fujikawa when he left for the major leagues a year ago. Following the 2003 season, the Nippon Ham Fighters, who had shared a ballpark in Tokyo with the Yomiuri Giants since 1964 (when they were the Toei Flyers), moved to Sapporo on the island of Hokkaido, the northernmost of the four islands that make up Japan. 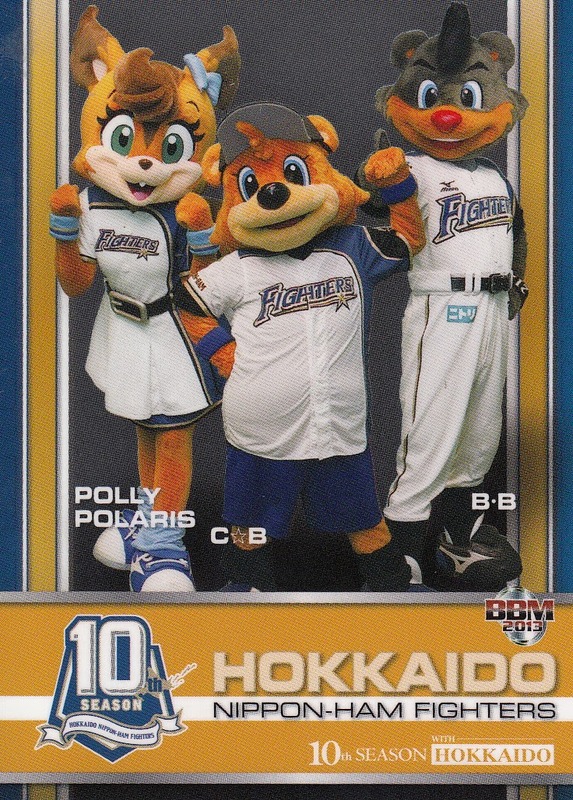 To commemorate this event, BBM has issued a card set with the somewhat unwieldy title of "Fighters 10th Season in Hokkaido". The set contains 90 cards. The first 19 cards in the set are for the 2013 team and feature most of the better players on the team such as Atsunori Inaba, Shinya Tsuruoka, Shohei Ohtani and Daikan Yoh as well as manager Hideki Kuriyama. 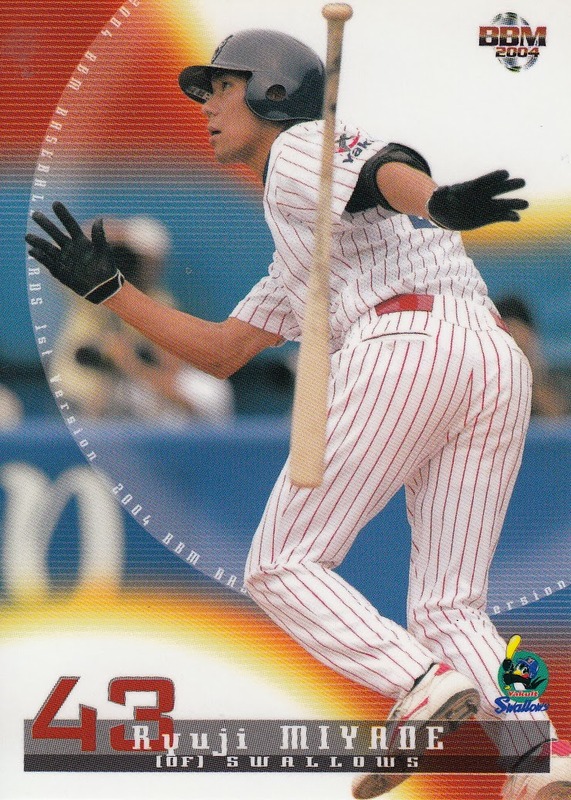 I was a bit surprised to see Yuki Saitoh included as he barely played at the ichi-gun level this year but I guess BBM decided that he was still popular enough to have him in the set. 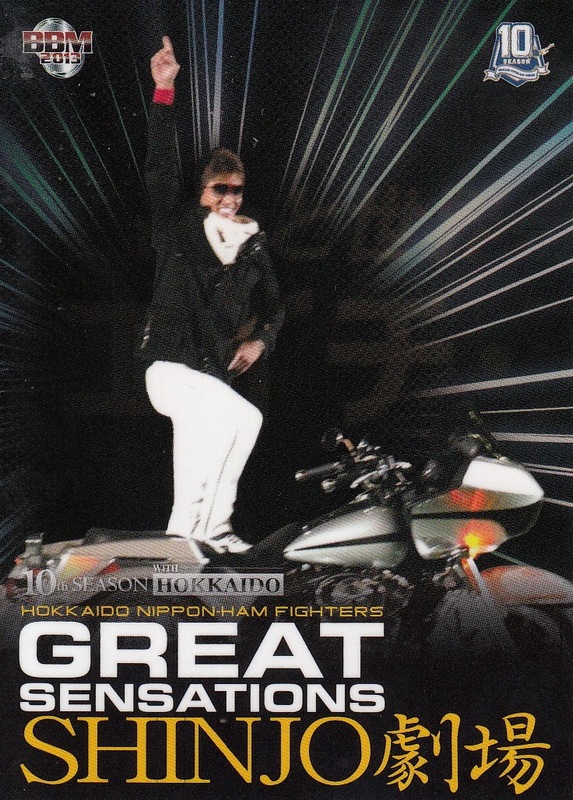 The next subset is "Historic Highlights" - the 14 most significant events in the Fighter's 10 season in Sapporo, arranged in chronological order. 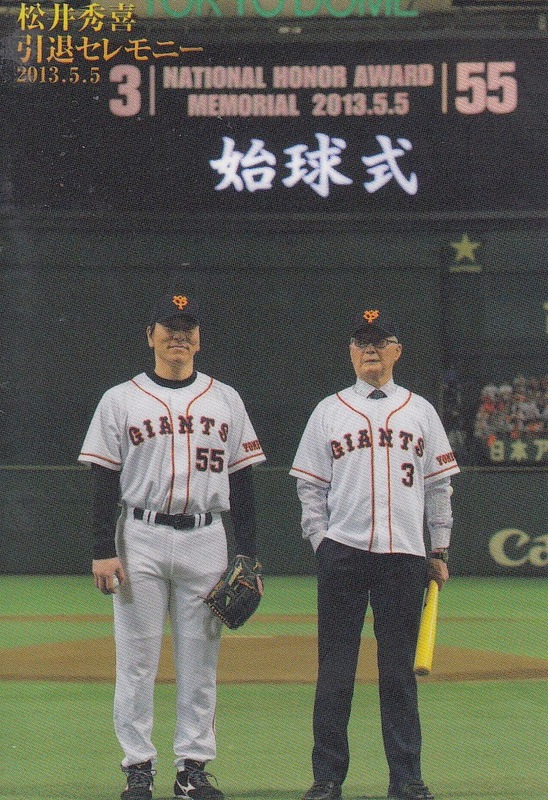 They are the first home game on 4/2/2004, Shinjyo's retirement announcement on 4/18/2006, winning the pennant in 2006 (first pennant for the Fighters in 25 years), winning the Nippon Series in 2006 (first championship since 1962), Yukio Tanaka's 2000th hit (5/17/2007), winning the pennant in 2007, Makoto Kaneko going seven straight games with a double in 2009, clinching first place in 2009, Terrmel Sledge's game winning grand slam in the Climax Series in 2009, Hisashi Takeda's 52 consecutive scoreless inning streak in 2011, Atsunori Inaba's 200th hit (4/28/2012), Hirotoshi Masui setting a record for most holds in 2012 (I think), winning the pennant in 2012 and Shohei Ohtani homering in a game that he was the winning pitcher in this past season (7/10/2013). 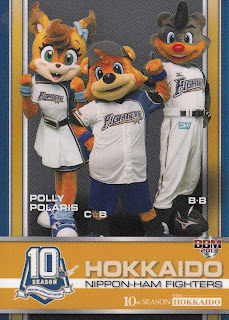 There's one last card in the set - a checklist card showing the Fighters' three mascots. It may not sound like it, but I actually like this set quite a bit. 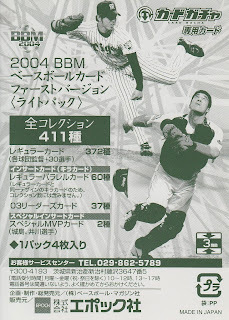 Generally I don't think BBM's Anniversary sets cover specific highlights in a team's history as well as this set does. I'd like to see more of that sort of thing. 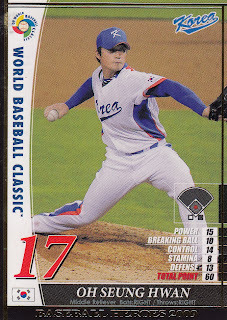 Really the only way this set could be better is if it had Yu Darvish in it instead of Yuki Saitoh. You can see all the cards at Jamabalaya (and I will admit to leaning heavily on the translation of their card descriptions for the info on the highlight cards). Ryan has also done a post for this set. UPDATE - I neglected to mention that this is the first team-based OB set for the Fighters. Now the only team that has not had any sort of anniversary set done for it is the Eagles. I'm betting that since next year will be the Eagles' tenth season, BBM will be doing a set for them. The final Calbee set this year (Series Three) got released back in September but (as is typical for me) I just got my set in the mail last week. There's 101 cards in the set this time (unlike the 100 cards for the previous two Series) - 72 player cards, 23 All Star cards, 2 Hideki Matsui Memorial cards and 4 checklist cards. The All Star subset features the 23 players who were elected by the fans to the All Star teams this season. It looks like the photos were taken at the games themselves. 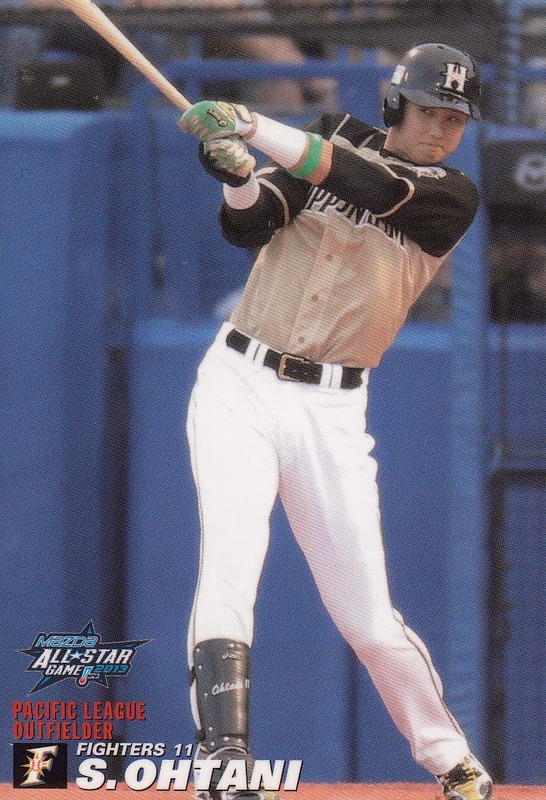 With BBM declining to do an All Star set this year for the first time ever, these are the only cards commemorating this year's All Star games. 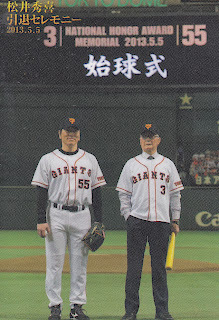 The other card shows Matsui and Shigeo Nagashima from last May's National Honor Award ceremony at the Tokyo Dome. 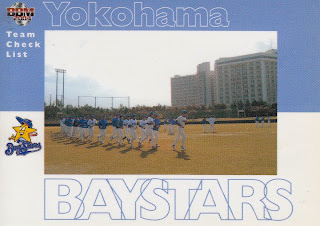 Like Series Two, I don't have a whole lot more to say about this set other than it's a typical Calbee set. Calbee is not like a box of chocolates - you pretty much know what you're going to get. You can see all the cards at Jambalaya, along with the limited edition mail order redemption "Strikeout Pitcher" boxed set. My friend in Japan that I buy cards from occasionally includes the latest Sports Card Magazine when he sends me cards. 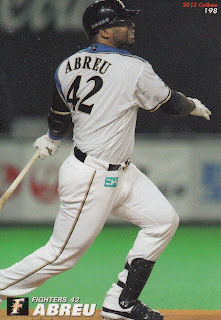 I got my latest shipment from him on Friday and, sure enough, he included issue #101 with my sets (Calbee Series Three, BBM 10 Years in Hokkaido and Fukuoka Legacy, all of which I'll be doing posts on shortly). As usual, SCM #101 included two "SCM Original Cards". Frequently the "original cards" are promo cards for BBM sets that are identical to the actual cards in the set (other than the "SCM Original Card" logo). This time, however, they are brand new cards. 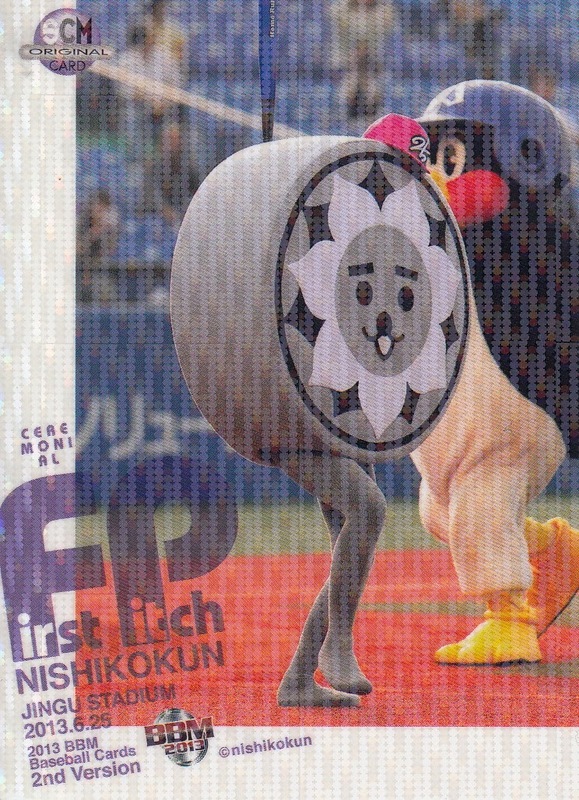 BBM decided to add a couple more cards to the "Ceremonial First Pitch" subset from this year's 2nd Version set. 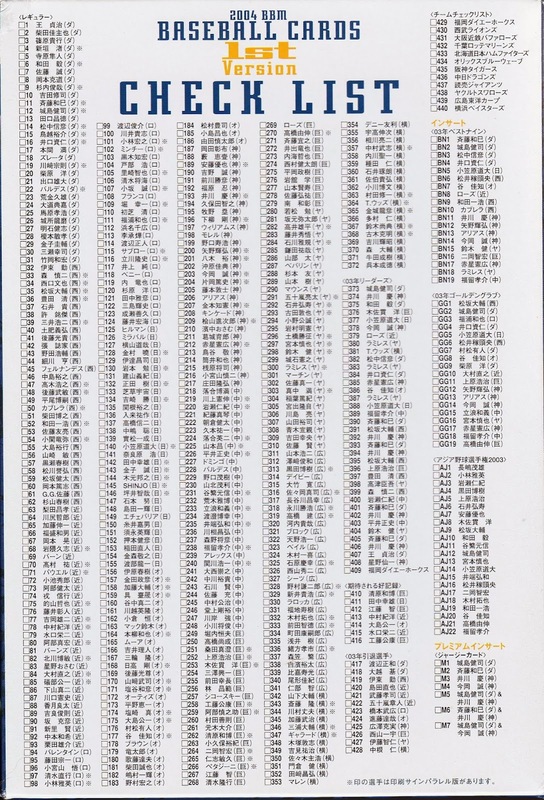 Both cards have two separate numbers on them - numbers 691 & 692 as a continuation of the 2nd Version set and 220 and 221 as the separate numbering for the SCM cards. 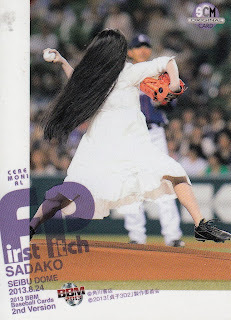 The second card is of Sadako, the villain from The Ring. If you're thinking that a first pitch ceremony card for her sounds familiar, it's because BBM did one for her in last year's 2nd Version set. I have to say that it puzzled me why BBM did a card for a character from a horror movie last year and it even more baffles me why they decided to do it again. It turns out that there was a sequel movie (Sadako 3D) that came out last year (about two weeks after the first pitch ceremony featured on the 2nd Version card) and a sequel to the sequel (Sadako 3D 2) that was released this year about a week after the ceremony on the SCM card. So both ceremonies are promos for the movies. There aren't many options for "pre-rookie" cards in Japan. 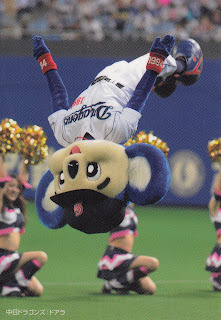 The NPB teams each have one minor league team, but there's no team sets available for the minor league squads. Pretty much every player who ends up on an NPB team (either the ichi-gun or the ni-gun level) gets a card in BBM's Rookie Edition when drafted and usually in BBM's 1st Version set - either one of which should be considered the player's rookie card. There do not appear to be any cards available for either the industrial leagues or the independent minor leagues. There are no cards for high schools either and, up until 2008, there were no cards for collegiate players. Actually let me revise that. 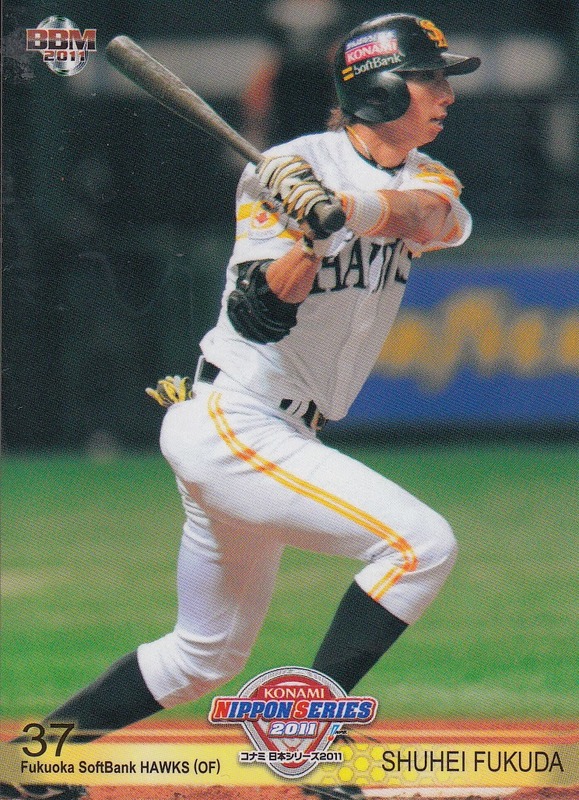 The first known Japanese baseball cards that depict specific players were for college players. Most of these cards were issued in the early 1930's although there were a few in the late 1940's. 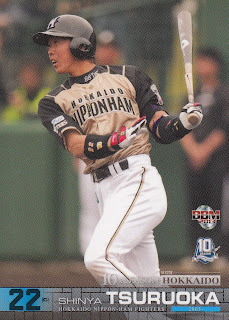 I'm pretty sure that there were no collegiate cards issued in Japan after the 1940's until 2008. In 2008, BBM put out three collegiate sets. 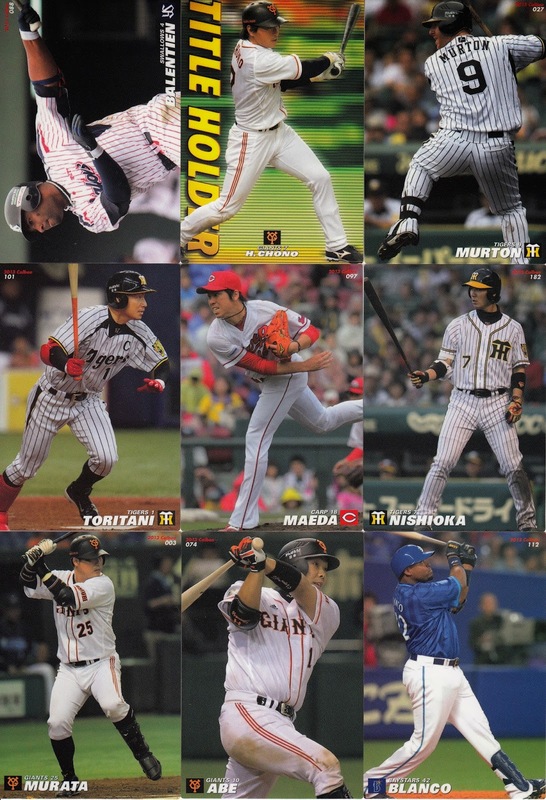 Two were for the Tokyo Big Six league - a 60 card Spring Version set (featuring 54 players) and a 36 card Autumn Version set (containing 30 players). 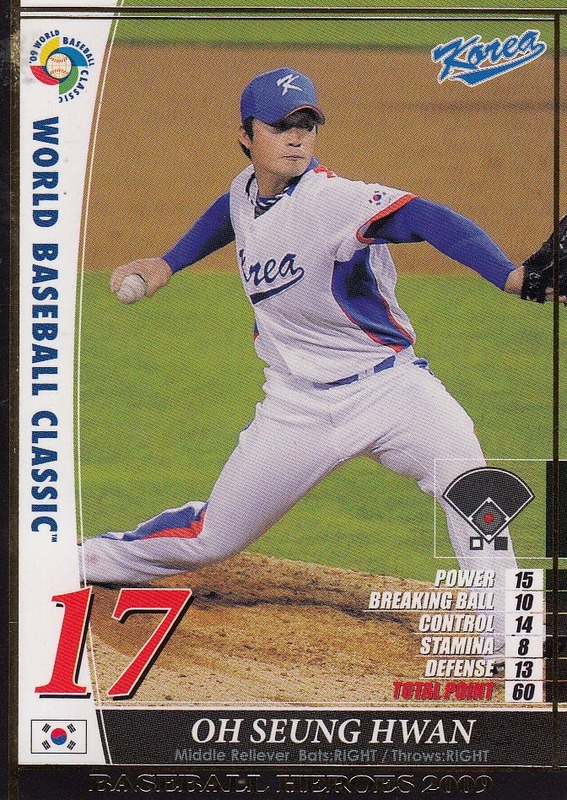 The other set was a 44 card set (featuring 22 players) for the Collegiate National Team. 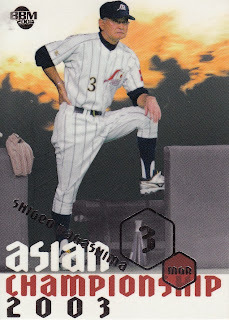 In addition to the BBM sets, there was actually sort of a Japanese collegiate set issued in the United States that year. Upper Deck put out boxed sets for the amateur Team USA that year. 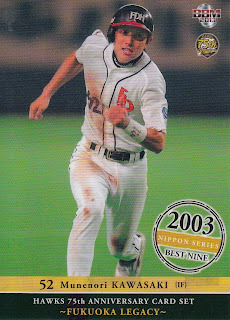 One of the possible inserts in the boxes were memorabilia cards for 22 players from the 2007 Japanese Collegiate National team. 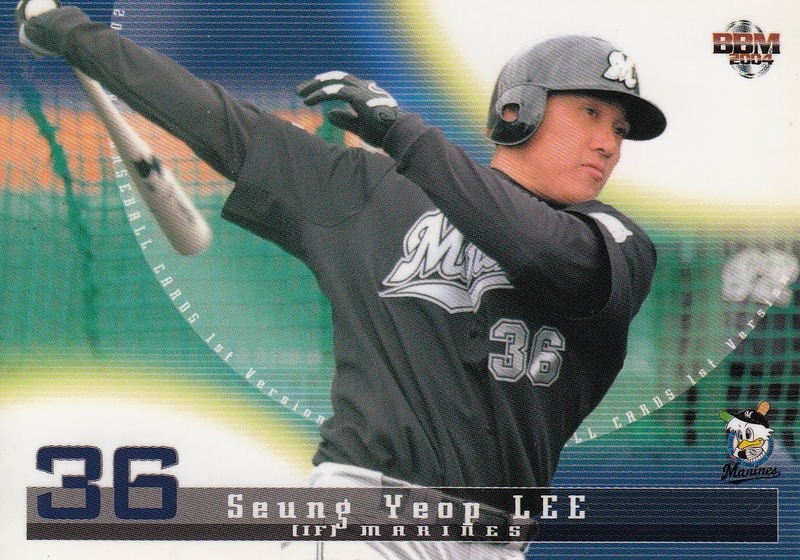 There were a number of different versions of these cards available starting with simple jersey cards and moving into various serially numbered autograph, patch or jersey letter cards. Now that five years have passed I thought it might be fun to see who from these four sets has moved on to bigger and better things. (This should complement my draft posts where I list what sets players got drafted appear in - this will list what drafts players in a set were taken in.) I will point out that this is not going to be a thorough "where are they now?" as I don't really know where anyone who didn't go to NPB ended up. There may be players from these sets who are playing in the industrial leagues or in the independent minors but I don't know how I would be able to track that. I've tried to get this as up to date as I can but I may have missed something. 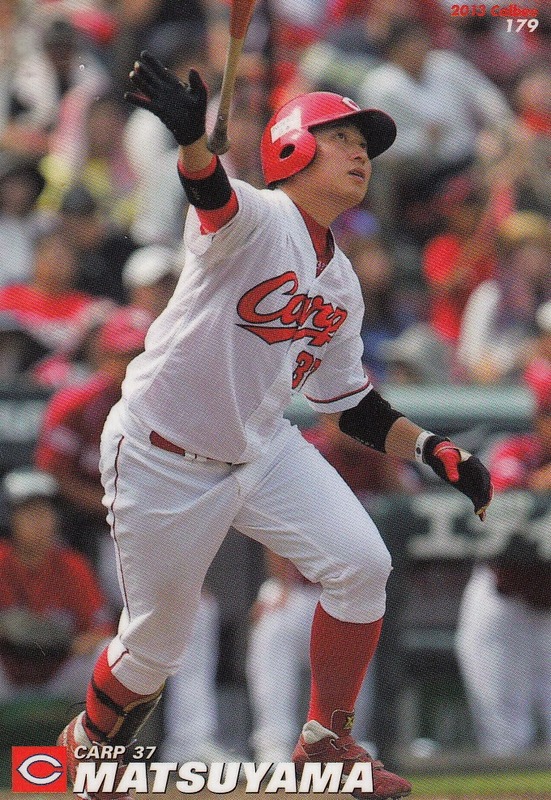 Hosei Carp, 2009 SV, AV Was with ikusei Carp for 2013 but was released at the end of the season. Fighters, 2009 UD 2010 Pacific League Rookie Of The Year. 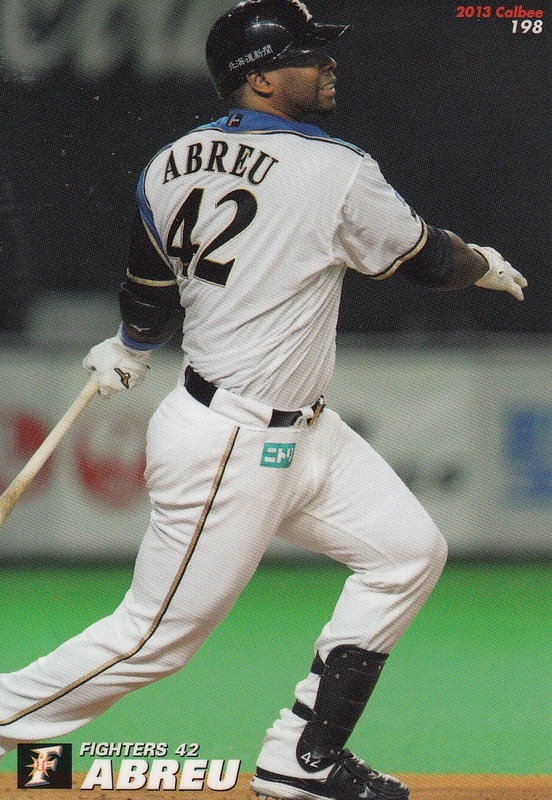 Released by Nippon Ham at the end of the 2013 season and signed with Orix. 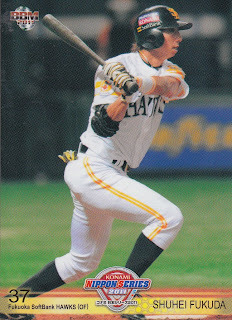 Aoyama Gakuin Buffaloes, 2009 CNT Released by Orix in November 2011. 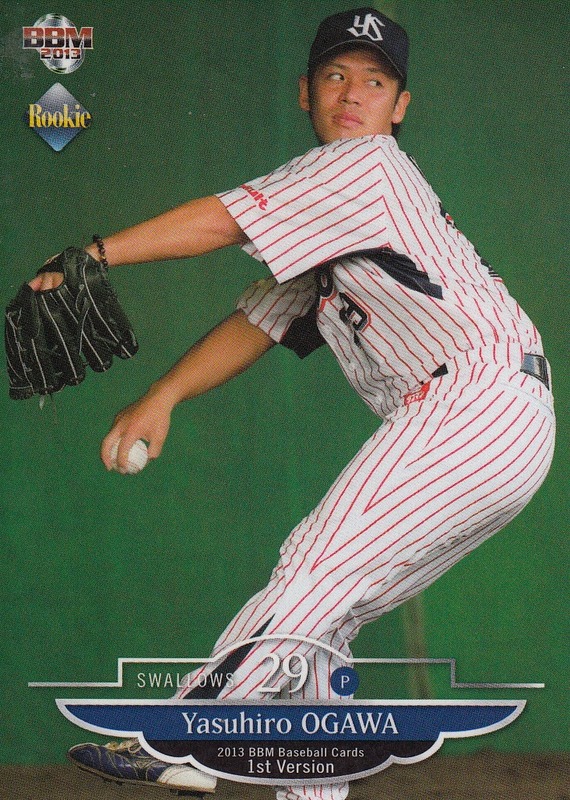 Played 21 games with the Lancaster Barnstormers of the Atlantic League in 2013. 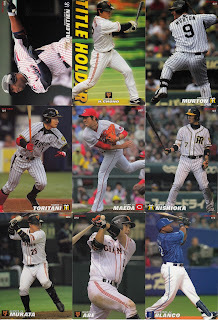 Of the 54 players in the Tokyo Big Six Spring Version set, eight played in NPB. 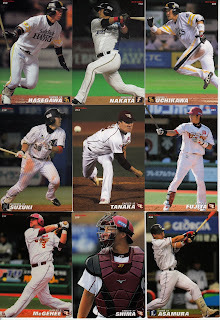 Of the 30 players in the Autumn Version set, 10 played in NPB (including all five of the Waseda team members featured). For the Japanese Collegiate National Team, 18 of the 22 members of the 2007 team featured by Upper Deck and 19 of the 22 members of the 2008 squad in the BBM set went on to play in NPB. So don't adjust your computer - the layout has changed. It's me, not you. UPDATE - OK, made some better (I think) changes. So if you're reading this now and didn't see the in-between format, you didn't miss much. UPDATE #2 - I think I'm done tweaking for now. Yuki Egarashi was drafted by the Giants in October 2011 (2012 draft) from the industrial leagues. 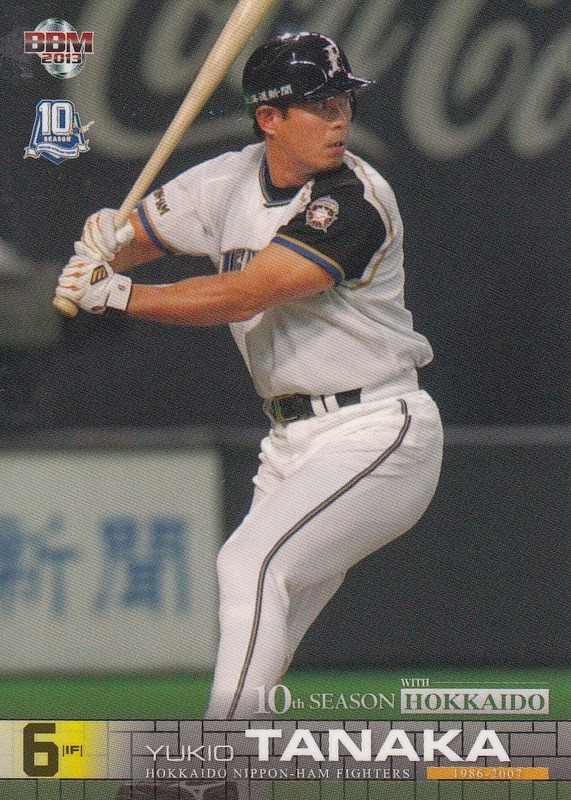 He had attended Meiji University (and was in the 2008 BBM Tokyo Big Six Autumn Version set) and then played for Toshiba in the industrial leagues. 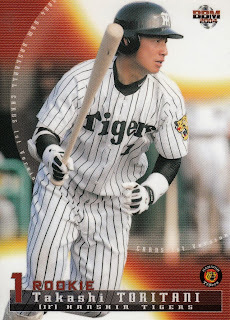 He has cards in the 2012 BBM 1st Version and Rookie Edition sets as well as BBM's Giant team sets the past two years. Shuhei Fukuda has had quite a few cards since being taken by the Hawks in the 2007 draft. 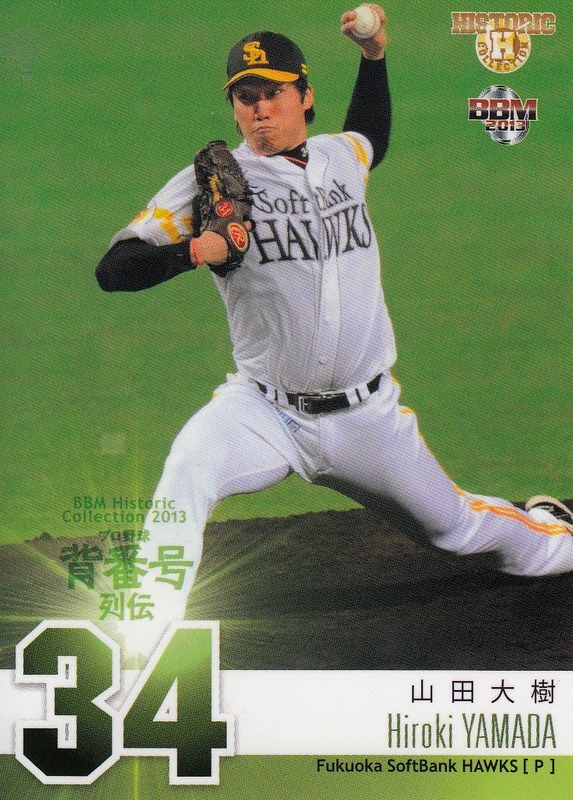 BBM sets he appears in include the 2007 Rookie Edition set, the 2007 Rookie Edition Premium set, the 2007 and 2012 1st Version sets, the 2011 and 2012 2nd Version sets and the 2011 Nippon Series set, as well as the Hawks team sets for each year from 2007 to 2013. He also has a Calbee card from 2012 and a couple cards with Konami and Bandai. 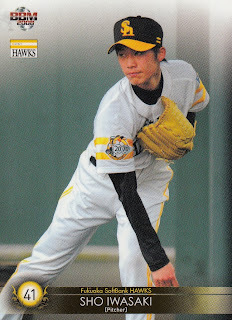 Nao Higashihama was the top draft pick for the Hawks in the 2013 draft (held in October 2012). 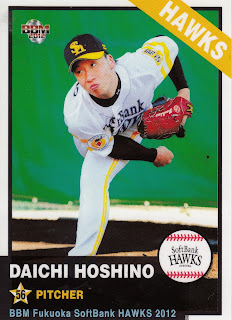 All of his cards are from the 2013 season and, being a top rookie, he's appeared in many BBM sets - 1st and 2nd Versions, Genesis, Classic, Diamond Age, Hawks team, Hawks 75th Anniversary and Rookie Edition Premium. 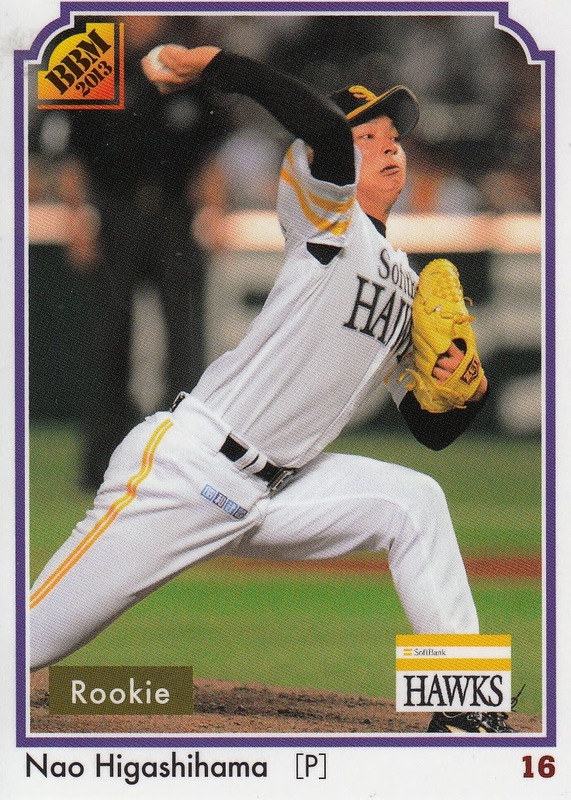 He's also in the Calbee "Exciting Rookie" subset. Daichi Hoshino, on the other hand, has not appeared in many sets. He was taken by the Hawks in the 2011 draft and as a result shows up in BBM's Rookie Edition and 1st Version sets that year. 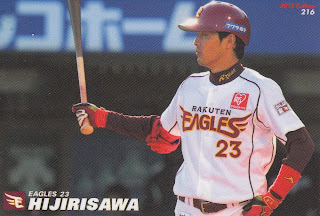 His only other cards have been in the Hawks team sets from 2011 to 2013. 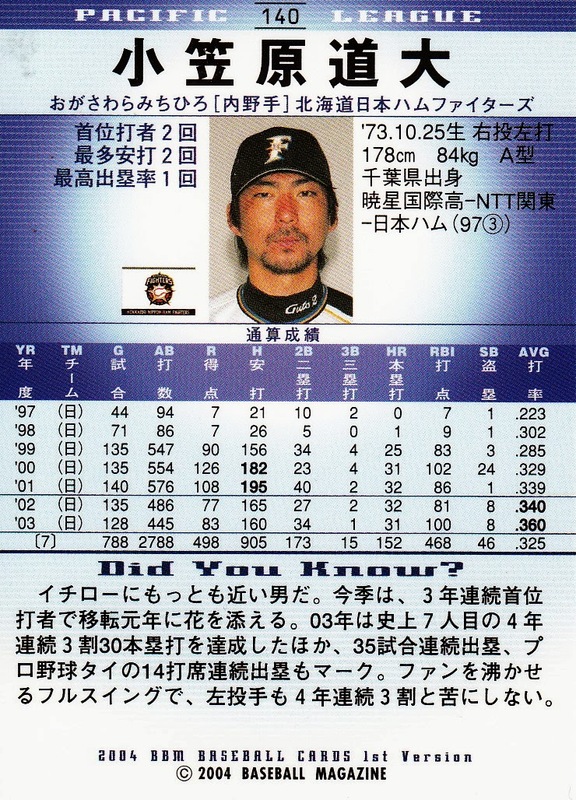 Another player without many cards is Ryuji Ichioka. 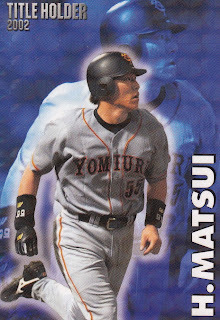 He was taken by the Giants in the 2012 draft and appears in both the Rookie Edition and 1st Version sets from BBM that year. 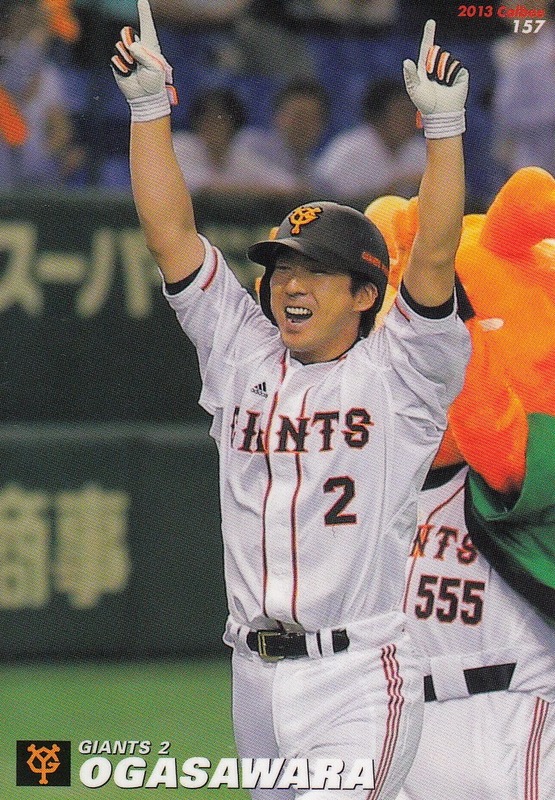 He's also in the Giants team sets the past two years. 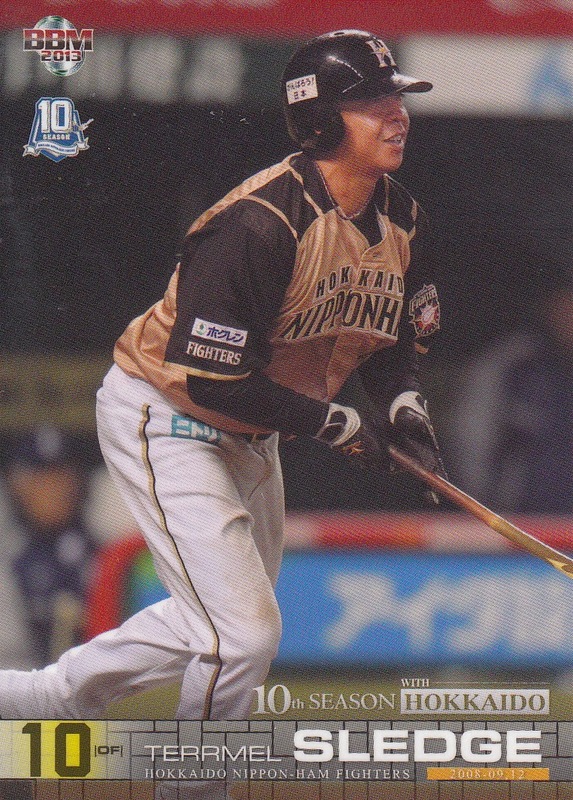 Yuya Iida is one of the few players from the 2013 draft who only had a card in BBM's Rookie Edition set and not 1st Version. His only other card is from the Hawks team set this year. 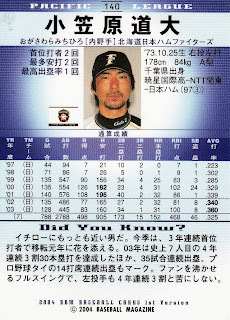 Like Fukuda, Sho Iwasaki has had a lot of cards. He's in the 2008 Rookie Edition set (after being taken by the Hawks in the 2008 draft) along with the 2008, 2009, 2012 and 2013 1st Version sets and the 2011-13 2nd Version sets. He's been in the Hawk team sets each year since 2008 and even has a couple Calbee cards from 2012 and 2013. 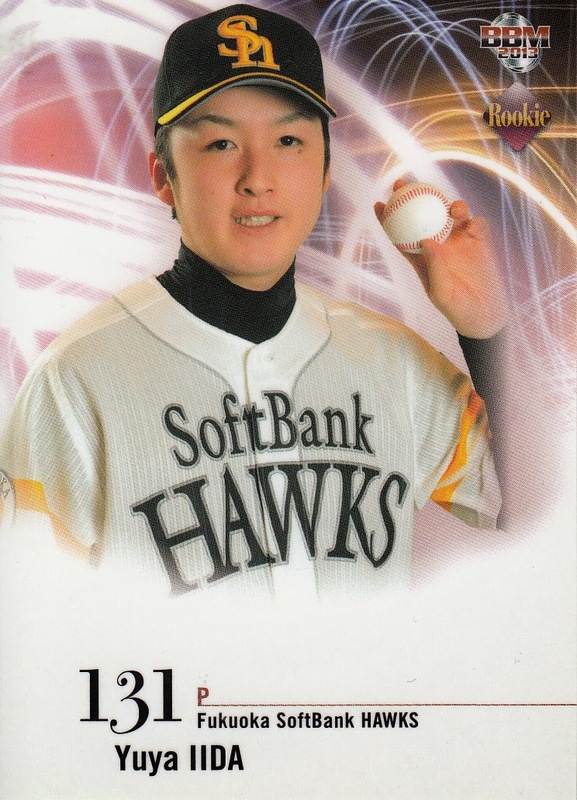 There were two Hiroki Yamada's taken in the 2007 draft - one in the high school portion by the Swallows (who had a card in the 2007 BBM Rookie Edition set) and one in the ikusei portion taken by the Hawks (who didn't). 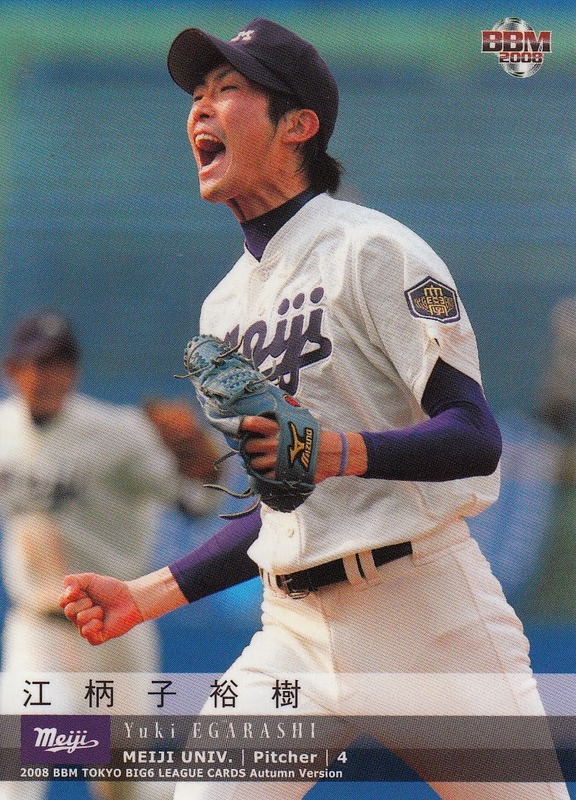 The one we're concerned about is the one who started out as an ikusei player. 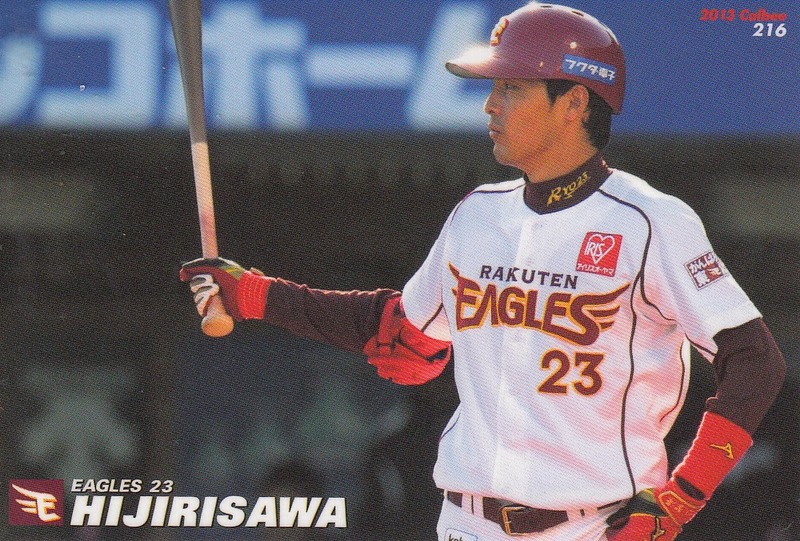 His first card was in the 2008 BBM Hawks set. I'm not sure, but I think he was actually released by the Hawks after 2009 but he resigned with them in 2010. He's appeared in the Hawks sets from 2008-2013 along with the 2011-13 1st Version sets and the 2010-13 2nd Version sets. Like Fukuda, he appeared in the 2011 Nippon Series set. 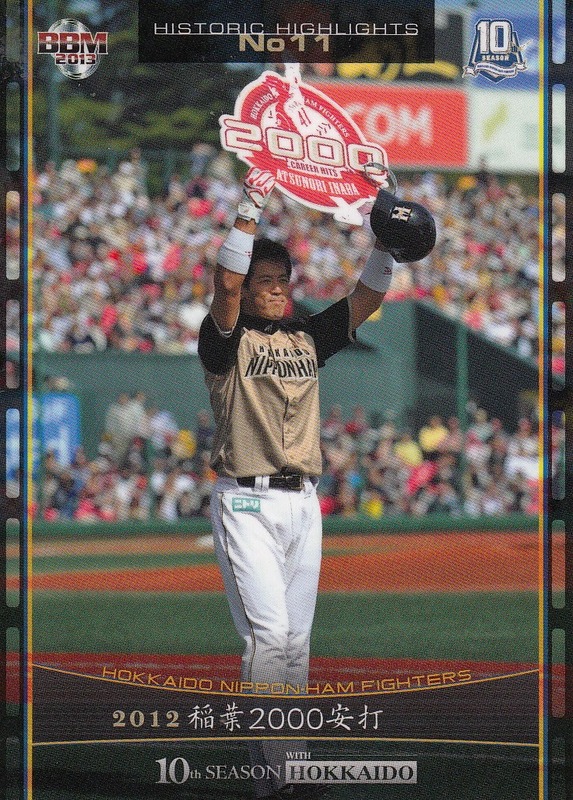 He's also appeared in a couple of the "Historic Collection" sets - the 2012 "Strongest Generation" and 2013 "Great Numbers" sets. As far as I know, there are no baseball cards for either the Puerto Rican or Dominican Winter Leagues. As always, I used the great work that Jason has done with the SportsCardForum.com's Inventory Manager in looking up the cards these guys have. And I need to credit an email from Scott Kaneko telling me that Scott's friend Noel Martir Arcelay had noticed the Japanese players in the Puerto Rican league. I had missed the two YakyuBaka posts referenced above and if Scott hadn't mentioned it, I probably wouldn't have realized that anyone from Japan was playing in the Latin leagues. Samurai Japan swept the three game "Baseball Challenge" against Taiwan this weekend, making Hiroki Kokubo's initial outing as the national team manager a success. 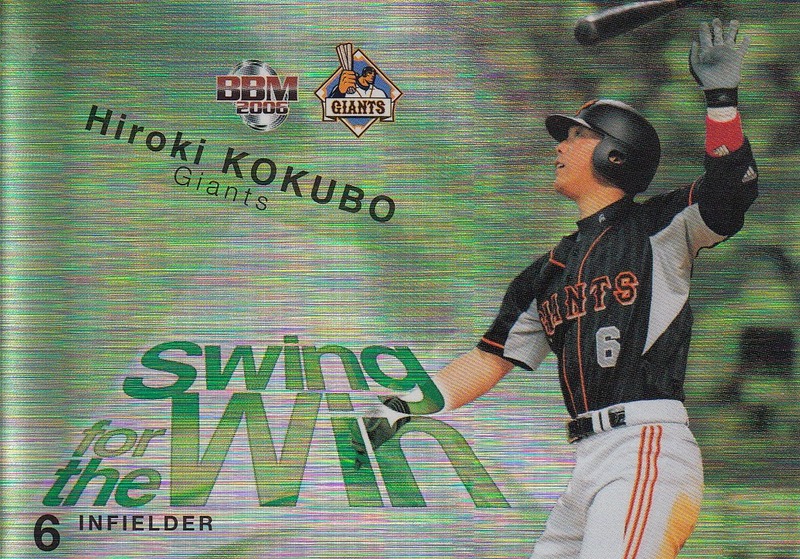 I thought Kokubo's "Swing For The Win" insert card (#SW11) from the 2006 BBM 2nd Version set would be appropriate. Hmm, even his insert cards use that ubiquitous pose. One other note about Samurai Japan - a Jim Allen tweet this week brought my attention to the fact that Samurai Japan has an awesome English language web site with rosters for the national teams at all levels, including the women's national team. There's also a link to Samurai Japan's online store, which is in Japanese and I have no idea if they ship overseas. Parallels: 120 cards have black facsimile autographs, 60 cards have a kira version (Light packs only). Kira version of leader cards (Light Packs only). 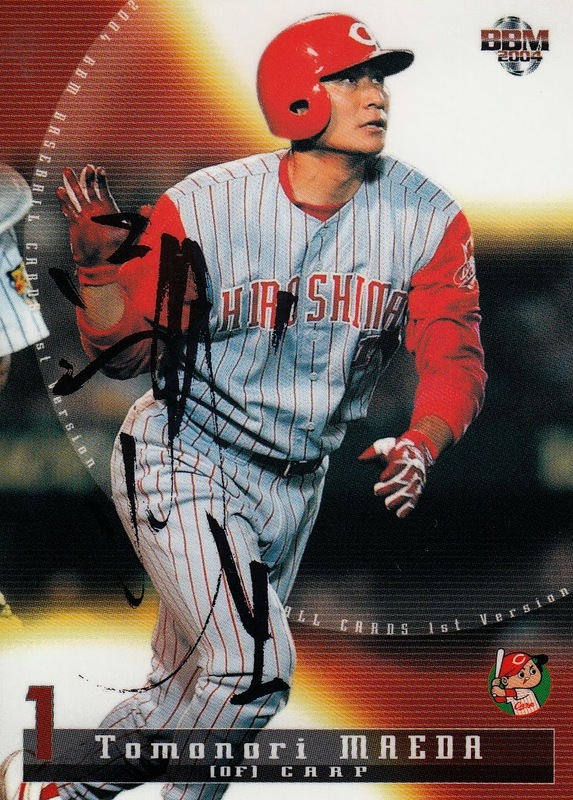 Autographed Versions of 2003 Retirement Players (numbered to 50). Parallel version of "Up Coming Milestones!" 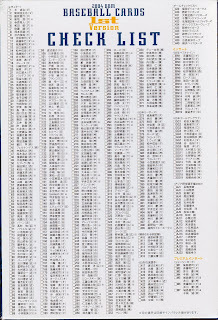 cards (numbered to 200). 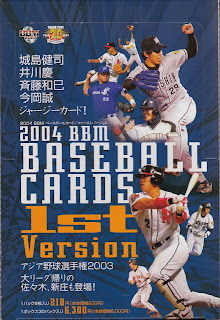 2004 was the first year that BBM dropped the number of cards a pack of their "flagship" sets to eight - it had been 10 from 1991 until the 2003 1st Version set and nine for the 2003 2nd Version set. It would remain at eight until 2012 when it would drop to six. For the second year, BBM did boxes of "Light Packs" which only had four cards per pack. 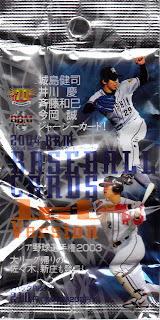 These packs were the only ones to contain the "kira" parallels of the player cards (5 per team) and the leader cards. They also were the only packs to contain the MVP inserts. 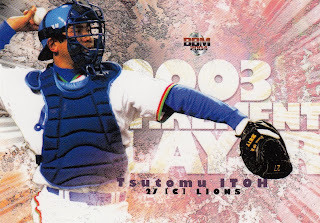 Unlike 2003, I didn't get a "Light Pack" box but the regular packs included promos for them so I feel comfortable saying that they would not have any of the other inserts or parallels in them. The jersey cards would not be available in these packs as well and they only had the player and Leader cards in them. (Actually it is unclear to me if the "Light Packs" contain the regular, non-kira versions of the Leader cards. The 2003 Asian Championship insert set featured the 22 cards for the players and manager (Shigeo Nagashima) of the Japanese entry into the 2003 Asian Championship Series, which was the Asian qualifier for the 2004 Olympics. 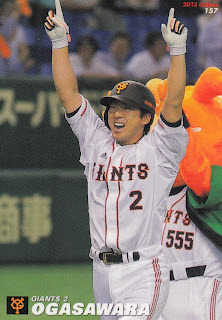 Japan won the Series handily. 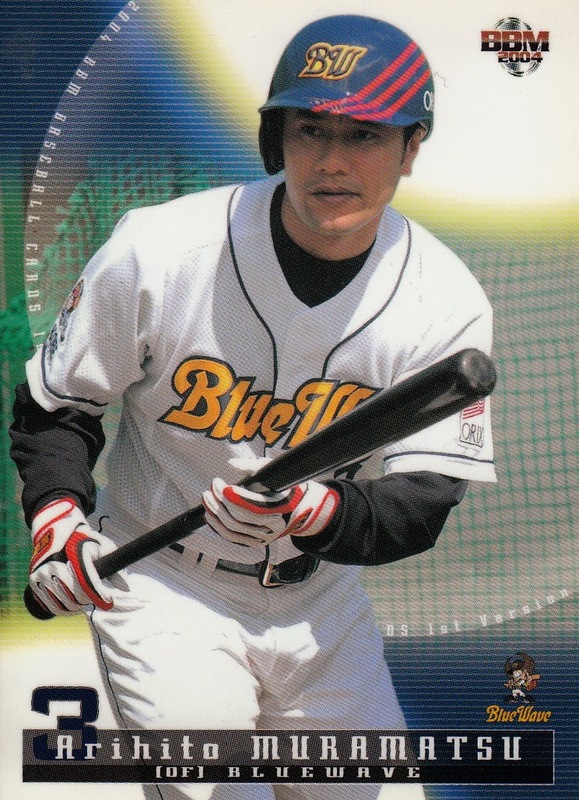 The insert set is notable in that one of the players in the insert set (Naoyuki Ohmura) did not appear in the box set for the team that BBM put out in the winter of 2003-04. There is also a parallel version of these cards that are numbered to 100. 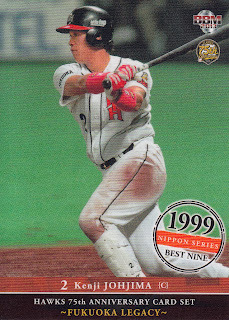 There was also a parallel version for the Best 9 cards that were available via some sort of lottery. The cards were identical to the normal version except that they did not have the foil on the sides of the front of the card. 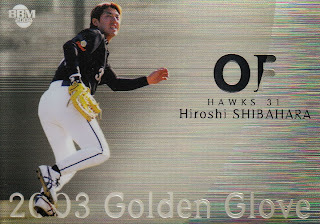 As far as I know, there's no parallels for the Golden Glove insert set (which means Engel doesn't list any). As a kind of unique change of pace, instead of having a subset of cards commemorating milestones reached in 2003, BBM included a subset of cards for milestones players were expecting to reach in 2004. 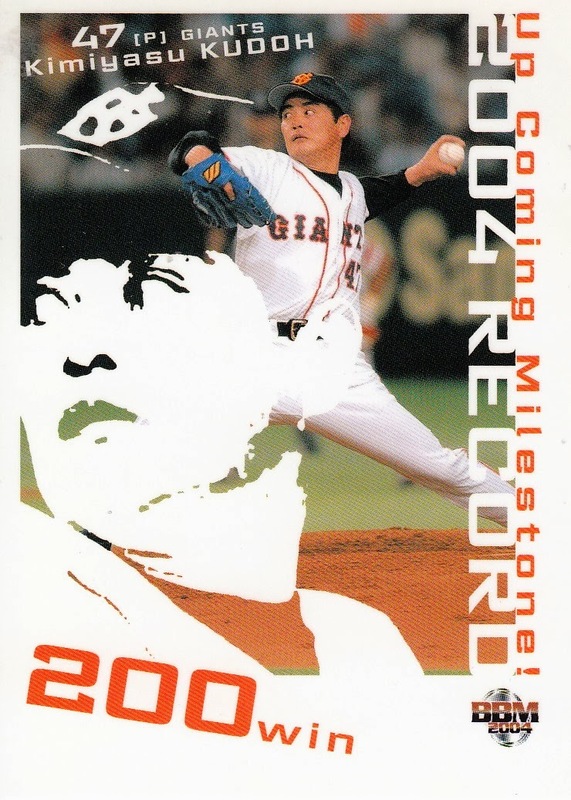 The seven predicted events were Akira Etoh's 350th home run, Kazuhiro Kiyahara's 2000th hit, Kimiyasu Kudoh's 200th win, Eiji Mizuguchi's 250th sacrifice, Norihiro Nakamura's 300th home run, Koichi Ohshima's 250th sacrifice and Yukio Tanaka's 2000th hit. 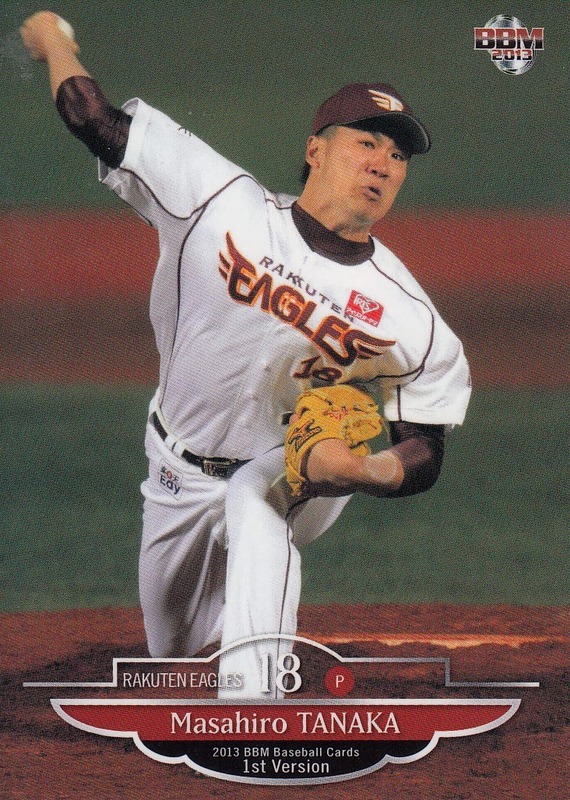 Due to injuries, Etoh and Tanaka were the only ones out of the group to not reach the specified number in 2004 although they both would eventually reach that value. 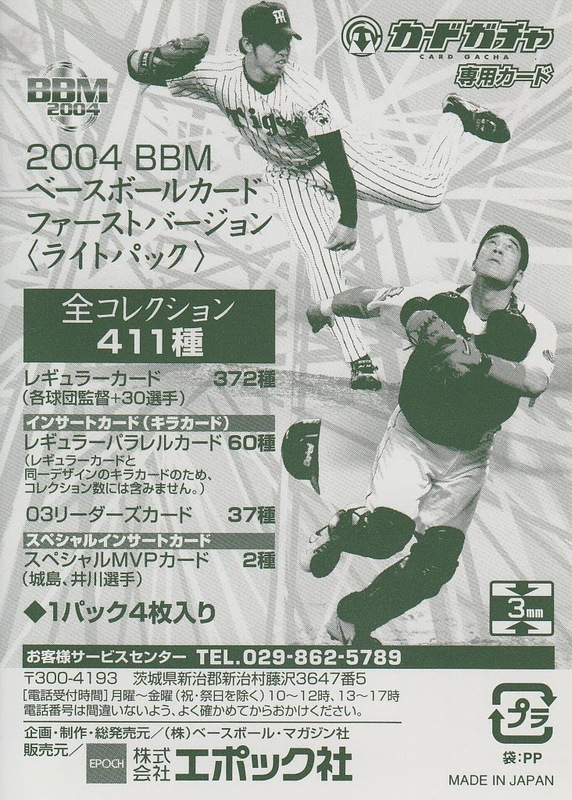 2004 was the third year that BBM had included a subset for players who had retired the previous year in either the 1st or 2nd Version set (or both) so it had pretty much become an expected subset by now. This year's featured retirees were Takehiro Hashimoto, Katsumi Hirosawa, Arhito Igarashi, Tomohito Itoh, Tsutomu Itoh, Takashi Mutoh, Hitoshi Nakane, Kazutaka Nishiyama, Motoi Ohkoshi, Naoya Shimada, Tatsuya Shindoh and Masakazu Watanabe. This is not one of my favorite sets. In fact, this set is the middle set of what I found to be several really ugly designs used by BBM starting with the 2003 2nd Version set and continuing to the 2004 2nd Version set. The design of each of these three sets obscures the background of the photo on the card with blotches of color. I've always felt that one of the strengths of BBM's cards was the great photograph they used and these sets seemed to go out of their way to clutter up that photography.